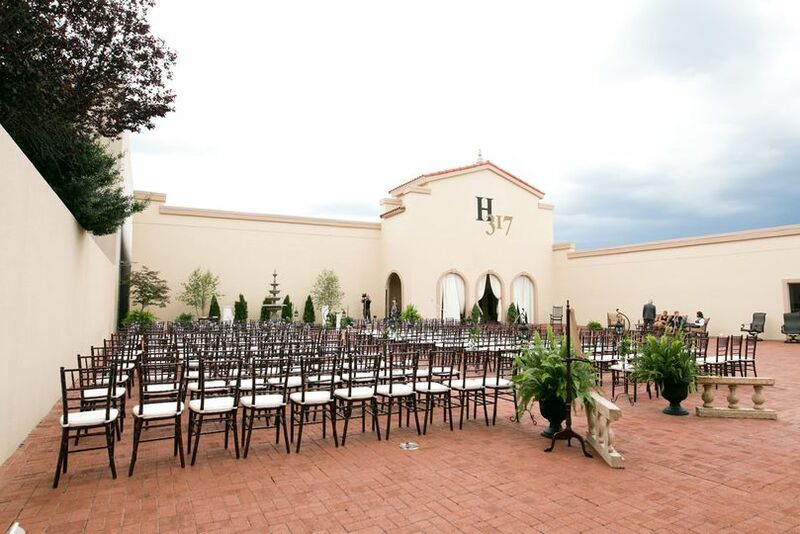 Villa de l’Amour, also known as the “House of Love”, is a elegant wedding venue located on S. Hamilton Street in downtown High Point, North Carolina. 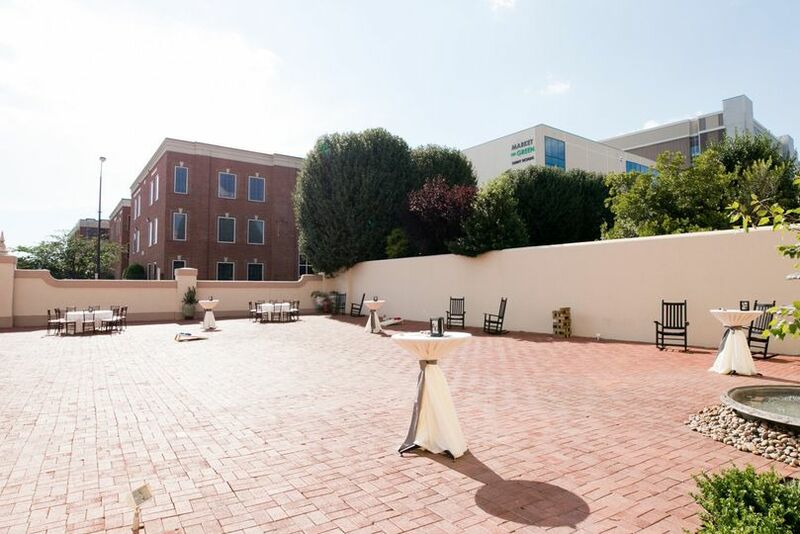 This new venue has a Mediterranean feel to it, and boasts 15,000 square feet of event space. 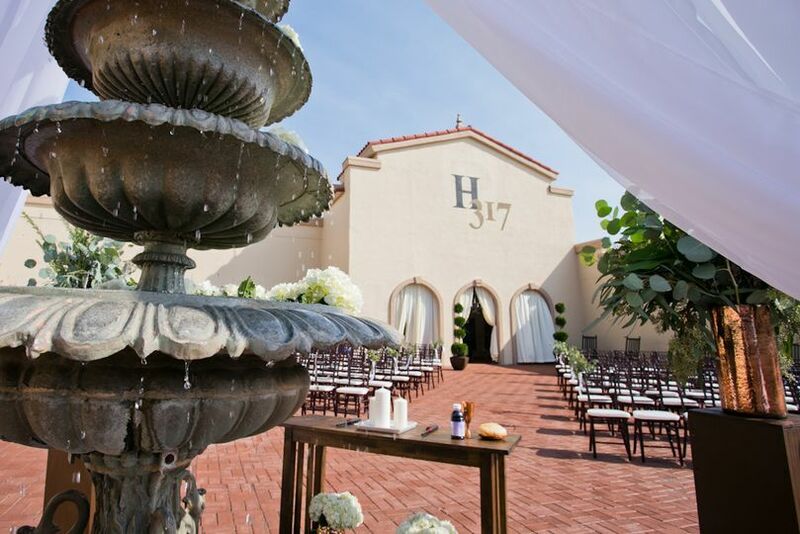 They offer both indoor and outdoor options for your ceremony and reception. 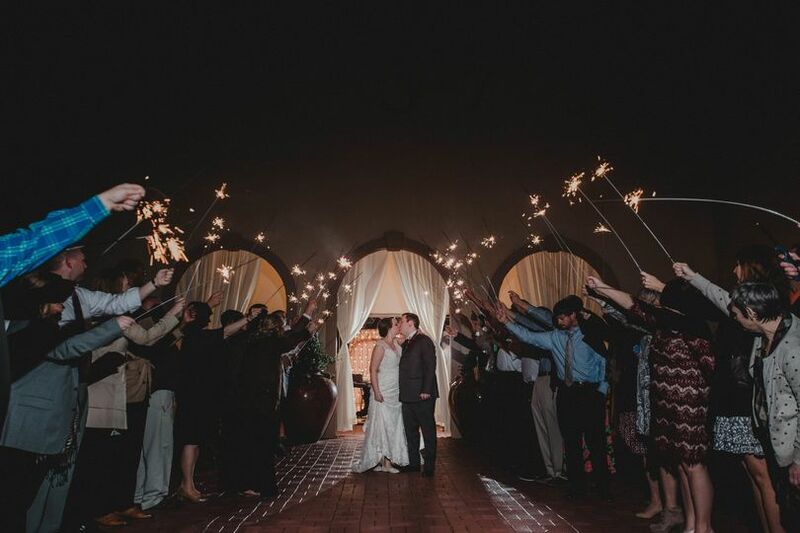 Villa de l’Amour can't wait for you to tour their facility and choose them for your big day. Couples can accommodate up to 200 guests at this spacious venue. 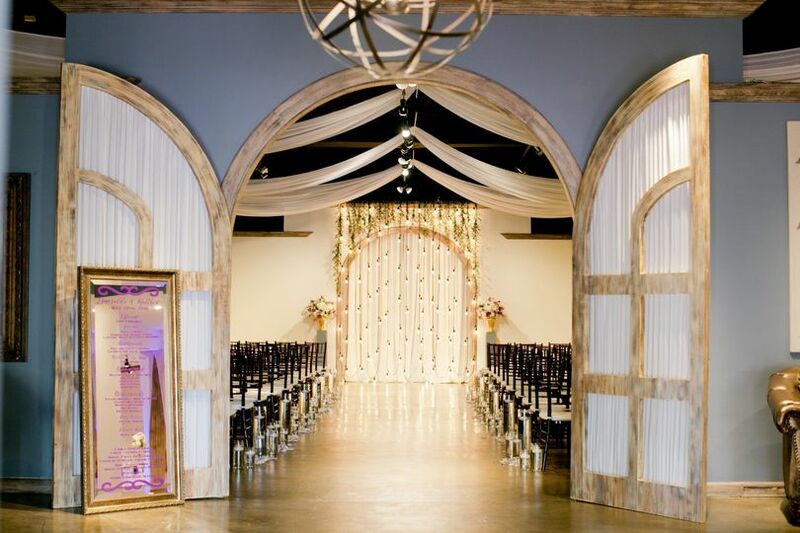 Your guests will enter through hand-painted arched doorways, before witnessing your vision come to life. 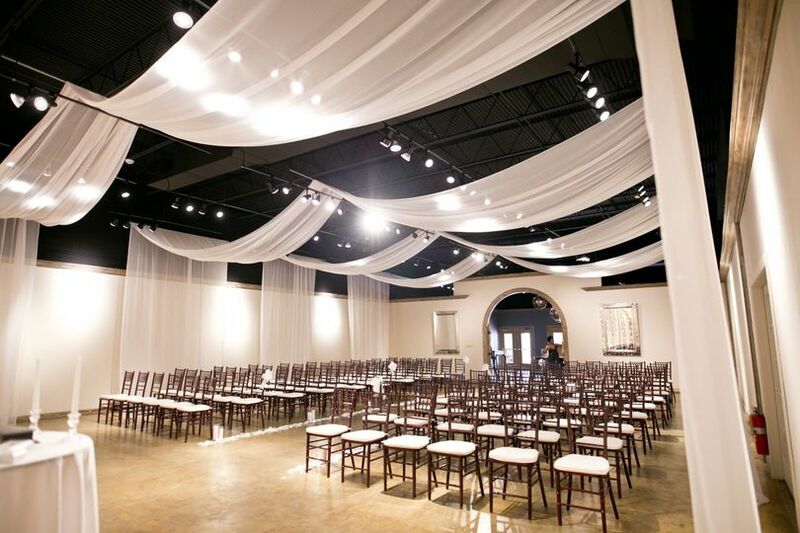 This romantic event facility is a blank canvas that you can decorate as you see fit. It can accommodate a variety of themes and color schemes, as well as creative layouts. It boasts beautiful white drapes that can be used in a variety of ways, a kitchen and a bar. 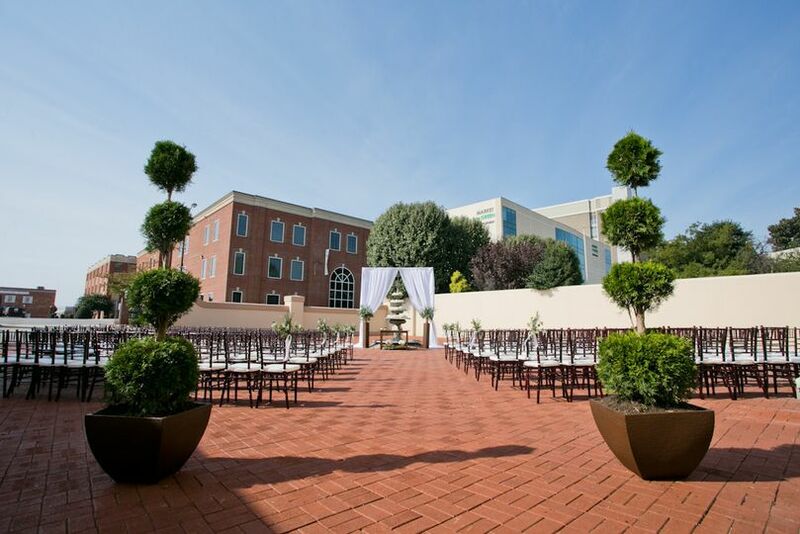 If you prefer an outdoor affair, they have a gorgeous courtyard featuring red brick, decorative water features and beautiful trees. 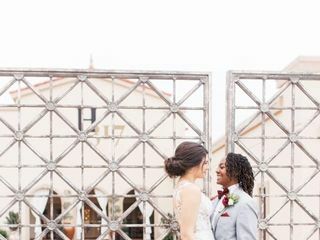 This unique wedding venue has been a part of the industry for over a year. 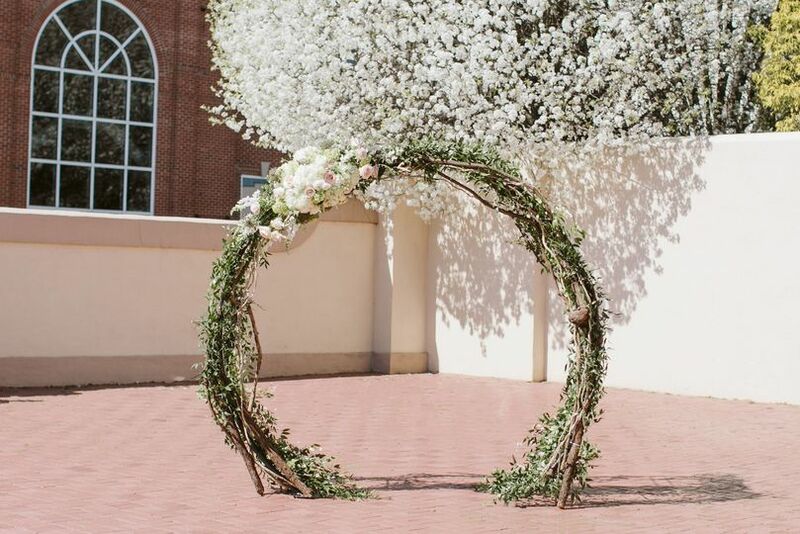 They offer wedding inspiration and photos from real-life weddings on their website. 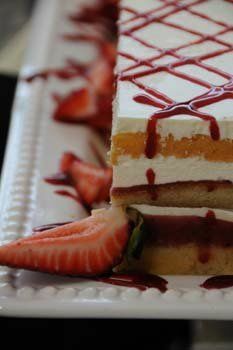 In addition to hosting your ceremony and reception, Villa de l’Amour is also happy to host your bridal shower, engagement party or intimate elopement. 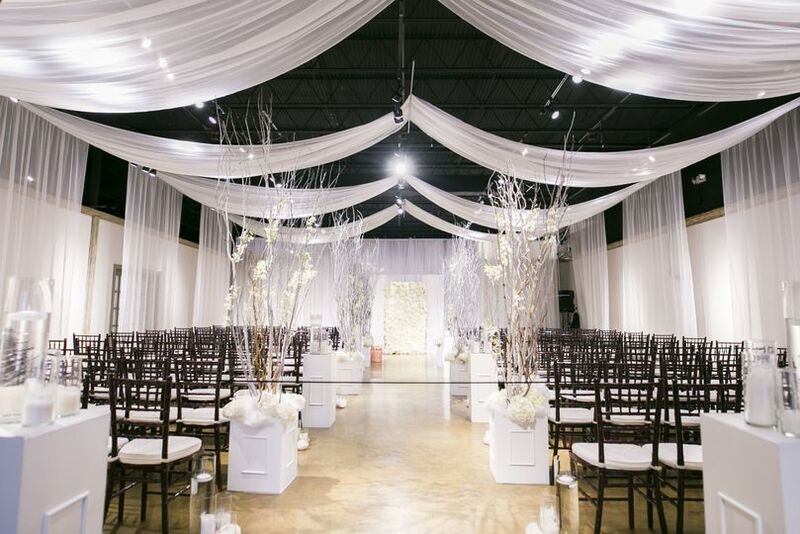 This venue and the amazing staff that work there brought our wedding dreams to life! My wife and I are not from the Triad region, and therefore planning from afar could at times be complex. Billie and her team at Villa allowed for us to schedule meetings and calls around our schedule- and guided us every step of the way to ensure that we were pleased with their services and were able to plan for the perfect day. 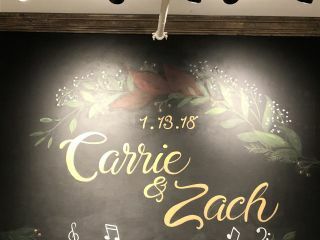 Their responsiveness to our emails, attention to detail, and incredibly competitive prices were just a few reasons that we could put our minds at ease and trust that all things would be beautiful for our wedding day. If you are looking for a space that is both convenient and eye catching- and a staff that will go above and beyond in your planning and day of processes? Look no further. Villa de l'Amour has everything you would ever dream of to make memories that will last forever on your wedding day or special event!! We HIGHLY recommend this venue! Words can’t express our gratitude for the Villa team! Everything from start to finish was professional and organized. On our day (yesterday) everything we asked for surpassed what we envisioned! 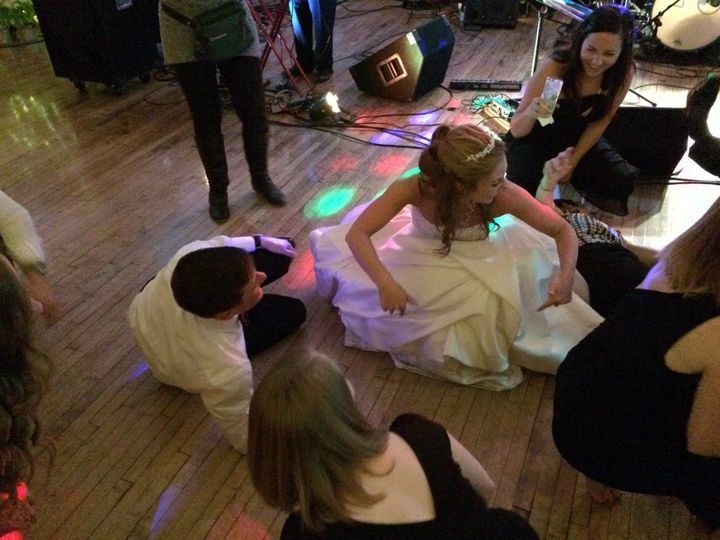 I hear stories of many brides stressing, but our day was smooth-flowing. We are grateful for the team and the fact that they were compassionate, excited for us, and treated us like we were family. If there were more stars, I’d definitely give them to this venue!!! From the first moment we toured the venue we immediately fell in love. The space is amazing! Billie and her staff are also so wonderful, they made our experiences planning the wedding with them very laid back and stress free. The day of they were so helpful in setting up and making sure we had everything we needed! Definitely an awesome venue! Villa de Amore team and the communication is beyond professional and accommodating. They do a great job at bringing your vision to life and they go well above and beyond.